Travelling to Rotterdam Ahoy? Whether you’re driving, cycling or using public transport, we’re easy to get to. Rotterdam Ahoy is ideally located just off the motorway, with the Zuidplein metro and bus stop nearby and Rotterdam The Hague Airport just a short distance away.  And since we have space for 2,000 vehicles, you will always find secure parking at Ahoy. Do you want to be assured of a parking space in the adjacent car park for a passenger car? For €17.50 you can book a parking guarantee. Rotterdam Ahoy is easily accessible by bus, metro & train. From bus and metro station Zuidplein it's a 5 minute walk to Ahoy. Do not forget to recharge your OV chip card and to check out. Healthy! And easy like Sunday morning. Like the Lionel Richie lyrics say, Rotterdam Ahoy is pretty easy to get to for cyclists. And we offer (unattended) parking for your bike, just outside Ahoy.